Roof Mold, also known as Gloeocapsa Magma is a living airbourne organisim that feeds on the limestone filler that maunfactures use for shingle weight and strength. As it rains the water will continue to feed the mold and spread it further down your shingles causing black streaks. If the Mold is not removed, not only will it soon take over your entire roof causing an ugly eye sore, but also causing premature aging, damages, and possibly leaks. What makes our company stand out in Roof Cleaning Service is we only use Florida manufactuer recommeneded chemicals, equipment, and specifications to properly remove nasty mold from shingle, tile, or metal roofs. Manufacturer Specifications strictly state to only use non pressure 'chemical only' cleaning process, also known as Soft Washing your roof to remove mold & extend your warranty, and to never use a pressure washer! 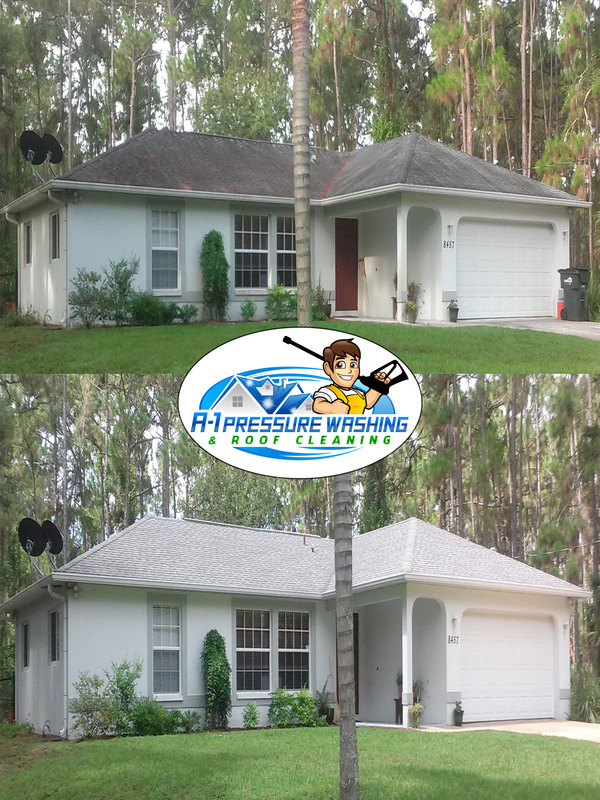 At A-1 Pressure Washing we strive to provide our customers with the highest quality roof cleaning available in Southwest Florida. Even though we are a pressure washing company, we DO NOT USE A PRESSURE WASHER to clean dirty roofs. We Treat Mold like a Pesticide, Not With High Pressure. We only use the approved methods by the R.C.I.A. ( Roof Cleaning Institute of America), A.R.M.A. (Asphalt Roofing Manufacures Association), as well as USA's leading roofing manufacturers: GAF , Monier Tile and Owens Corning for proper removal of roof mold and mildew prevention. With our exclusive Safe No Pressure Roof Cleaning System we are SW Florida's #1 recommended choice for proper roof cleaning. Our company can safely and effectivly remove mold from your shingle, tile, or metal roof along with preventing future mold growth for a minimum of 3 years. Don't Replace Your Roof...Revive It! This is not because of their functionality. Half of the roofs ever replaced in the Midwest didn't need replaced, only cleaned. Just as mold and mildew can grow on your vinyl siding, wind blown algae can land and grow on your roof causing black streaks and discoloration. Replacing your roof because of this algae is like replacing your TV because you lost the remote; it just doesn't make sense? Some roofing contractors don't know what these black streaks are, saying it's the asphalt showing through the shingles. Some contractors may know it's algae but tell you it can't be cleaned without damaging the shingles. In either case, they may tell you that the roof needs replaced. This is not true if your shingles are still in good shape. The algae can be killed and removed properly without damaging the shingles using a low pressure chemical application as recommended by shingle manufacturers. Besides diminishing curb appeal, what other damage can roof Mold do? Shingle composite roofs are layered with a protective coating of granules to reflect the suns ultra violet rays, and tile along with metal composite roofs have a protective clear coat to reflect UV rays. As the mold continues to feed and spread across your roof it will prevent your roof shingles from reflecting heat from the sun's UV rays. When this happens it will affect your home's heating and cooling costs without you even realizing. What is the Difference between Pressure Cleaning and Non Pressure Cleaning? Traditional pressure cleaning companies use high pressure gas powered machines with water pressure ratings between 3000-4000 PSI. This method requires you to walk over every square inch of your roof to blast away mold, but look what else they have blasted off, your asphalt shingle granules and protective coating on your tile and metal roof! A pressure washer will DESTROY all granuales on an asphalt shingle roof, and leave what we call in the roof cleaning industry; "Zebra Stripes" from inconsistant wand patterns on a Tile Roof and Metal Roof. Every Southwest Florida Homeowner, Property Manager or Homeowner Association that has a Tile roof knows the dangers invovled with walking on your roof, after so many years of pressure cleaning your roof the protective coating has completely diminished causing color loss & cracked tiles! Taking away years of life from your roof! These other companies also tell you there is no way to prevent future mold growth and must be power washed every 1-2 years or charge an additional $300-500 for a 2 year warranty, and they are wrong! You shouldn't have to replace your roof due to incompitent and unexperienced roof cleaning companies. If your roof is properly cleaned by Manufacturer Specifications, as well as approved proprietary cleaning solutions your roof cleaning will last 4-5 Times Longer Than Traditional Pressure Cleaner. With A-1 Pressure Washing & Roof Cleaning we follow all quideline for roof cleaning to gently and safely clean roofs using approved detergents to completely clean and and protect your shingle, tile, or metal roof. Our exclusive Safe No Pressure Roof Cleaning System is a Commercial Electric Pesticide Spraying System producing 4 Gallons Per Minute with a maximum of 60 PSI - Garden hose pressure It is not the 60 PSI that cleanes the roof, that is what it takes to puch the detergents through 300 feet of hose. 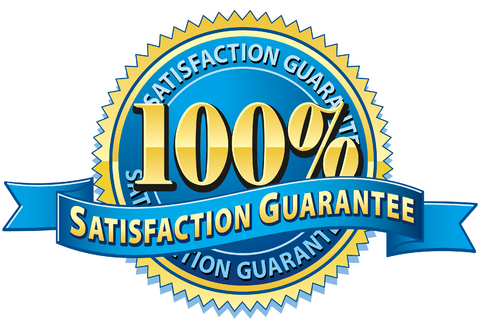 "Professional Equipment - Professional Results"
For your free Roof Cleaning Estimate fill out our Easy Online Estimate Form, or Give us a Call at 941-815-8454. A-1 Pressure Washing & Roof Cleaning is a fully licensed & insured maintenance company offering professional Roof Cleaning services to Residential Homes and Commercial Buildings in North Port, Sarasota, Lakewood Ranch, Siesta Key, LongBoat Key, Venice, Englewood, Rotonda, Boca Grande, Port Charlotte, and Punta Gorda. 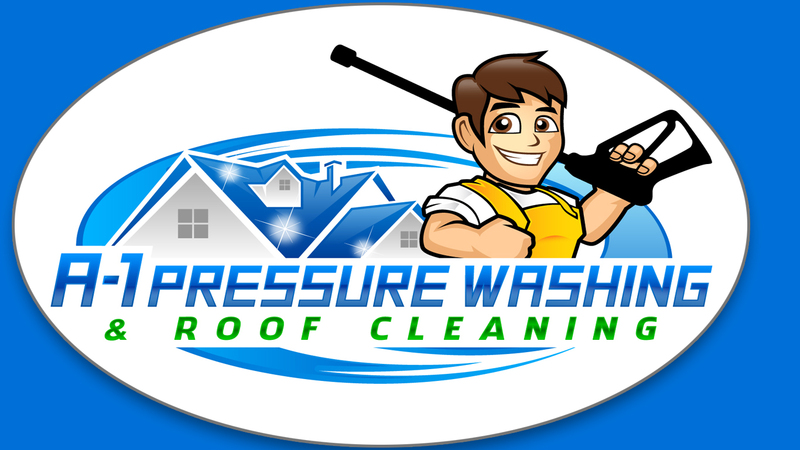 From one homeowner to 100, a Single Store Cleaning or a chain of stores through South West Florida; A-1 Pressure Washing & Roof Cleaning is ready, equiped, and experienced to handle any Roof Cleaning project you may have in a timely and professional manner. With our custom soft wash equipment and eco friendly detergents we are able to safely wash away years of algae, mold, gum and grime from your home or office in Sarasota, Charlotte, Manatee, or Lee county. "We are SouthWest Florida's Mold & Algae Removal Experts"
We treat mold like a pesticide using an electric 12 volt sprayer system that only produces 4 Gallons per minute with a maximum of 60 PSI, to apply manufacturer approved roof cleaning detergents. We are able to safely and gently clean Shingle Roofs, Tile Roofs, and Metal Roofs - Guaranteed 3 Years Clean! Our Paver Sealing services are designed to revive your dull and faded pavers or travertine bricks. Also adds protection against premature failing & fading from our harsh Florida heat, inhibits weed growth and ant mines between joints, as well as inhibit mold and mildew growth. Our brick paver sealing services include prepping the the surface by pressure cleaning, then resanding the paver joints, and applying 2 coats of Natural Luster or Super Wet Look Sealer. 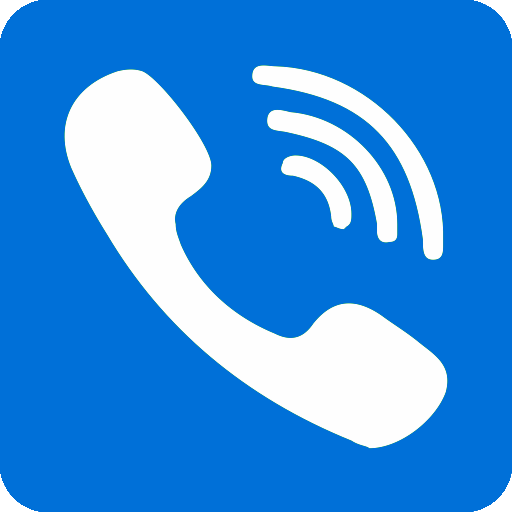 Commited to Quality, Committed to You! A-1 Pressure Washing has been proudly serving SouthWest Florida Since 1996, our staff and crew understand the value of our clients' properties, along with the level of care that is required to properly clean their properties. As property owners ourselves, we understand exactly how you feel and what you're looking for in a pressure cleaning & roof cleaning contractor. You're looking for a professional cleaner that you can trust to take exceptional care in restoring the beauty of your property, but with the same care and attention to detail that you yourself would use. You don't have to look any further!A-1 Pressure Washing will go above and beyond to exceed your expectations in every way possible. Our team is commited to providing quality craftsmanship and complete customer satisfaction with every pressure cleaning, roof cleaning, and paver/concrete sealing service we perform. We treat every residential home and commercial building as if it were our own, our employees do not leave the job until we have our customers 100% satisfaction with our cleaning services. From a single walkway, communities as a whole, to 10 Story high rise buildings, A-1 Pressure Washing has the equipment, highly trained staff, along with experience to handled any job you may have in a timely and professional manner. No job to big or small, we treat every project with care and quality is guaranteed. Commited to Quality. Commited to You! With our dedication to excellence, outstanding customer service, and attention to detail; A-1 Pressure Washing & Roof Cleaning is the #1 choice for SouthWest Florida's cleaning solutions for residential homes, commercial properties, and property management companies for homeowner/condo associations. Here at A-1 Pressure Washing we lend our Pressure Cleaning, Exterior Soft Washing, Safe No Pressure Roof Cleaning, Paver, and Concrete Sealing Services to SWFL Homeowners, SWFL Homeowner Associations, SWFL Condo Associations, SWFL Apartment Complexes, SWFL Country Clubs, SWFL Property Management Companies, SWFL Restaurants, SWFL Banks, SWFL Realtors, SWFL Strip Malls & Plazas, SWFL Gas Stations, SWFL Business Parks, SWFL Construction Companies, SWFL Painting Companies and more! If you property is infested with rust stains, oil, gum, black mold, or green algae...then we have a solutions for you! Don't let your home, office, or communities curb appeal suffer another year! Put A-1 Pressure Washings experience, hard working, and dedicated team to work for you today!